If you are passionate about pre-classical music, you should already know the name “Jordi Savall”, at least as the name of the musician playing the viola da gamba. Which is an instrument that resembles the viola, but is used in the same position as a cello. For those who have never heard of Jordi Savall: he is one of the most important musicians in the world and he is contemporary with us. For over 40 years, he has been a part of the reforming trend that promotes playing ancient music on period instruments (originals or copies of museum exhibits). When played like this, it is a completely different music – one that “produces” more life than in the academic and aseptic version of the great symphonic concert hall, inherited from Gustav Mahler. The tempi are quicker, the sounds of the instruments seem more hoarse, but it is precisely this feeling of imperfection that reinvents and refreshes long time forgotten compositions. The latest example is Charpentier: with his music, Savall obtained this year a Diapason d’Or. We had the chance to see Jordi Savall in 2013, at the George Enescu Festival, with a wonderful concert based on his album Dinastia Borgia. 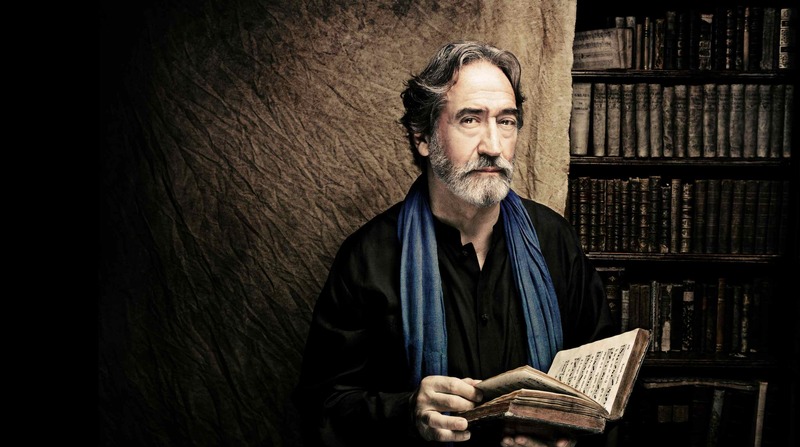 Besides this repertoire, Jordi Savall is also an explorer of the world music. This is a trip that the Catalan, with his air of Byzantine saint, started quite a long time ago, together with the soprano Montserrat Figueras, his wife, who tragically died three years ago. The regular baroque orchestra is replaced by a band of musicians coming from all around Europe and handling all sorts of traditional instruments – with their mixture of cultures, they create an extraordinary atmosphere in their concerts. These troubadours are Hesperion XXI. The ancient music of the minstrels of Western Europe was revealed to the world in their first projects, but afterwards, Savall and his ensemble opened the gates of the Orient, and let waves of sounds go out, with an extraordinary force. And a first disco-graphic project, almost compulsory: Istanbul, which appeared in 2009. Why is it so important? Because the project starts from a book called The Book of the Science of Music, written by a certain Dimitrie Cantemir, known more as a political character, from the Romanian historiographic operetta. Apart from the battle of Stănilești, from Descriptio Moldavie and from Cantemir’s friendship with the czar Peter the Great, few Romanians know that this illustrious intellectual of world envergure at the level of the XVIIIth century is also the inventor of the notation of Ottoman music, preserved until then only orally. In this book, Cantemir transcribed traditional songs, but also his own compositions. His contribution to the Ottoman culture was presented in front of the sultan and the future prince of Moldova played and sang a few songs himself. Of course, we will not recognise any of our projections about Romania in this music, even though some rhythms remind distantly of the folklore in Oltenia. Closer to us, the people of our days, influenced by the Occident, seem to be the other songs on this CD, those of the Sephardic tradition in the Ottoman Empire. These Sephardim (Jews of Hispanic origin) are an example of the racial tolerance of the Turk sultans in the Middle Ages, as they were received and integrated by the Turks after having been chased away from Spain. In 2014, Savall continued this journey from One Thousand and One Nights and expanded it to the Balkans. 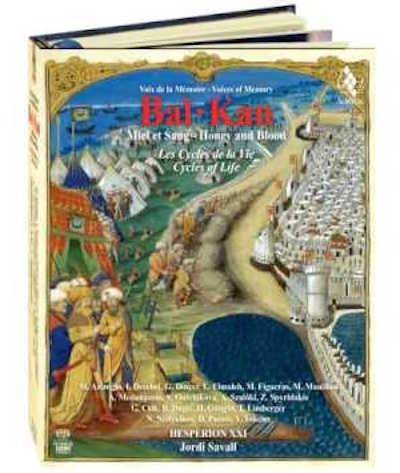 First, the foretelling CD – Balkan Spirit, than a triple album, accompanied by a huge book (filled with illustrations from the Romanian iconography), named Balkan. An area to which Romania belongs too, whether we like it or not, together with its music. A territory with many peoples, sad histories, with burning sensitivities and prides, a place on Earth that one cannot refrain from loving. And the more you love it, passionately, the more this place answers back with tears and makes you suffer, until you get to the point where you hate it. One reason could be that a possible etymology of the word Balkan comes from Turkish, where bal means honey, and kan means blood, even though we persist in using only the Bulgarian equivalent of the word, балкан, meaning mountain. And I also remember that, around 2011, Angelina Jolie was making her début as a director, with a movie about the war in Bosnia, named, not accidentally, In The Land of Blood And Honey. And because I reminded the instruments of this coloured world of the Balkans, let’s mention them here: badulka (Bulgarian lyra, a kind of Turkish kemençe), tambour (Bulgarian or Macedonian instrument, with a sound similar to the kobsa, today almost disappeared), kamancheh (Iranian bowed string instrument, not to be mistaken for the Turkish kemençe), kanun, oud, tambour (Turkey), ney (Turkish end-blown reed flute; no relation to the panpipe), santur, saz, frula, kaval, cimbalom, accordion (already a modern instrument), kemençe (Turkish instrument, of Persian origin, with strings and bow) etc. The relation of the Romanians with the Balkans is ambiguous and dual, of acceptance and rejection, of love and scorn. We want to remind here the fact that, geographically, only 6% of Romania’s territory belongs to the Balkans, even though 90% of our history belongs to a destiny which is common to the entire space of this area largely named South-Eastern Europe. A history common with the history of the Serbs, the Turks, the Bulgarians, the Greeks and of all the other mixed peoples, cultures and languages, where the speakers of Latin languages, meaning us, Romanians, represent more than 30%. Natively, we do not understand a word of what the Slavs in this region speak, but we start when we hear a child crying, all around the Balkans: Haide, tati! (Come on, daddy!). We will never stop comparing all the big cities of the Balkans to Bucharest, and, once arrived in Istanbul, we will always feel like the provincial in the capital city. After all, the capital of the Balkans is Istanbul, the former Byzantium, nothing else but a very big Bucharest. And we will never feel in a foreign country when travelling to Greece, Turkey, Bulgaria, Serbia, Croatia, etc or when we taste the flavours of a Balkan cuisine, which will always seem familiar and, why not?, all the music, rather different from one country to another, will always sound familiar. And we will have the same feeling when we cross in front of the same Byzantine icons. We often despise our Balkan past, because we always aspire to the Western civilisation. That we started to embrace very late, in the XIXth century, mainly under the reign of a German royal family. 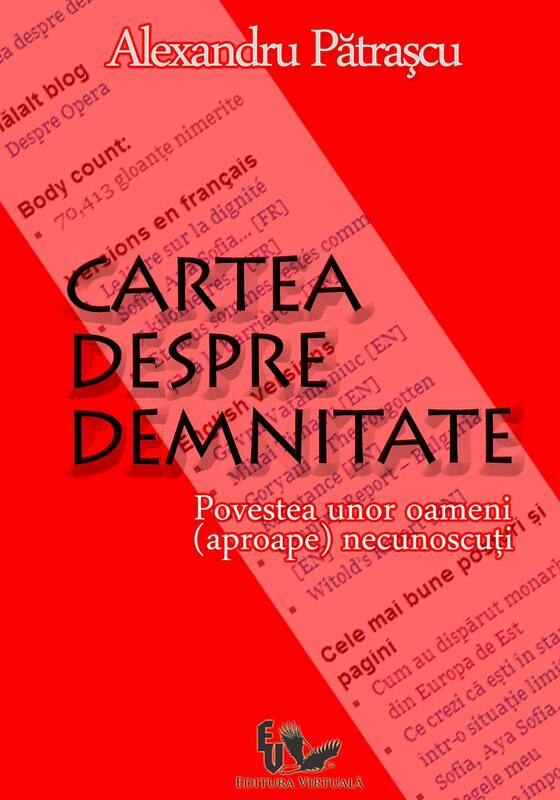 The Romanian cosmopolitanism directed towards West has always had a certain degree of ridicule, and the most clear proof is Ion Luca Caragiale, a Greek, who insisted on writing down in detail, in his works, all the involuntary humour of Romania’s occidentalization. Caragiale’s up-to-dateness stresses this proof even more. Jordi Savall’s two albums mean over four hours of music and, once you get inside it, it will be hard for you leave. 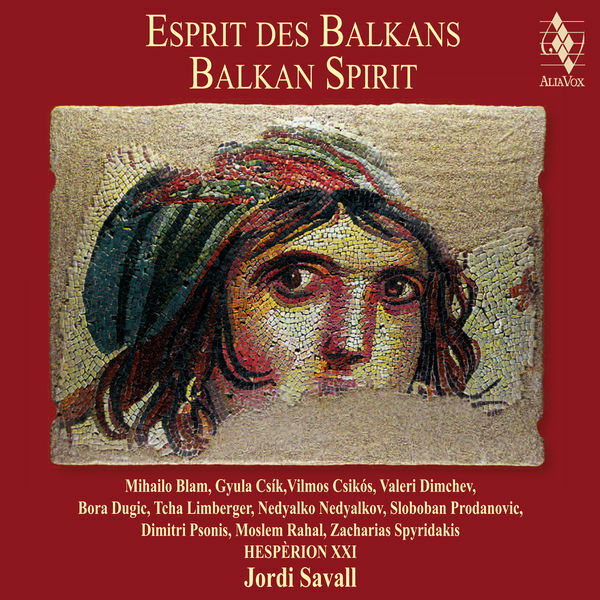 Balkan spirit was issued in 2013, and Balkan, in 2014. Savall and Hesperion XXI successfully toured the USA at the end of 2013, singing and playing “our” music. In 2014, they presented the same program at the Salzburg Festival. On Balkan Spirit you must listen to Sanie cu zurgălăi translated on manele rhythm. This 100% Romanian Jingle bells, which seems to be a happy song, as old as the hills, was composed only in 1937 by a Jewish musician named Richard Stein, and the Catalan Jordi Savall and Hesperion XXI play it as a very high quality manea. The association of the words manea and quality might seem absurd. Well, it is not the case. From the musical point of view, we owe Gypsies a lot of things. Because, in Savall’s opinion, and I share it, in all this Balkan melting pot, there are only two culturally integrating lines: the Sephardic and the Gypsy diasporas. There precisely where the empires (including communism) politically failed, and did not succeed in levelling the peoples they had subdued, the music of the Gypsies and of the Jews worked like the blood in a body, and distributed to all the cultures in this area rhythms and themes they had taken over, revived, integrated. Gypsy improvisation enchanted composers like Beethoven and Ravel, but also almost all the Hungarian musicians, from Liszt to Béla Bartók, Zoltán Kodály or György Ligeti. In Romania, even George Enescu said: We must thank them, the fiddlers, for preserving our music, this treasure that we appreciate only now. On the same CD, we find a doina from Ardeal region, Laie Chioru, a half-cultivated creation, with lyrics by Octavian Goga. The booklet of the CD says it comes from Banat. Maybe Savall and his musicians have heard it from a Banat native. In this song, we hear the tambour, an instrument that sounds like the kobsa (which is specific for Muntenia, Oltenia and Moldova). Its “purpose” here might seem difficult to understand. I guess it is pure improvisation, maybe for a note of originality. The Romanian music is less present on Balkan. Doina oltenească – the concert version, with many improvisations, that could be met mainly in the repertory of old times virtuoso violinists (Grigoraș Dinicu, Nicolae Buică, Nicu Stănescu, Ionel Budișteanu etc), as Doina Oltului. Hora lăutărească – horă de ascultare (Fiddler’s hora – hora to listen to), genre that appeared in the 70s and has been preserved until today by the fiddlers. As we can see from its name, it was not composed for dancing. Or De man daje mol te piau – another hora to listen to, sung in Gypsy. Let us begin with two women from Novi Sad. I remember them as very beautiful, standing about 5ft 10in tall, and going up to an accordion player who sat facing the Danube. As they dropped a few coins into his hand, they said: „Come on, make us cry!” And at their behest he coaxed from his instrument oceans of sadness and centuries of being uprooted, while they danced and hugged one another, oblivious of the passers-by. Note: This article was written together with the blog Folclor muzical românesc, that I discovered quite a while ago as an excellent documentary source for an article about the discography of George Enescu’s Rapsodiei române Nr.1 . I strongly recommend this blog. A few words about the concert: it is catharsis from the beginning to the end. Especially if you have the audio experience. People singing and playing music in a church, even party music. There is no difference between the people in Balkan and the people in Matthaus Passion, conducted by Herreweghe. The artists are dressed soberly, men are generally dressed in dark colours, black shirts, grey trousers, etc. The life cycles (birth, childhood, marriage, death) and the seasons cycles are stressed in the concert more than in the audio version. But before them, the performance begins with a music of the Genesis, of the original chaos. The distance from here and up to the representation of the Chaos in Haydn’s The Creation is very little. The theme is unique and the spirit of the place, the church, consecrates the music, everything profane disappears from the very first second. Amira Medunjanin, who sings Bosnia’s music, seems a modern copy of Maria Tănase, and the Bulgarian Stoimenka Outchikova-Nedialkova, ruddy and excellent in her canto technique, that recalls the yodl, impersonates the honey from the title of the album, Balkan, with an irresistible maternal feminity. 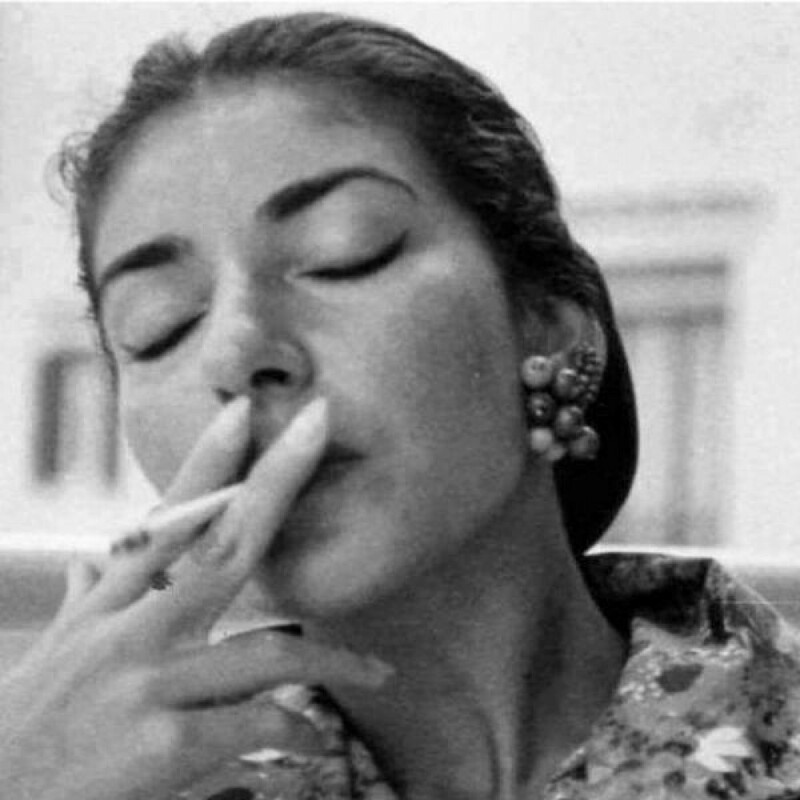 Aikaterini Papadopoulou sings the Greek music, which is the closest folklore to the Turkish one, and she is often accompanied by Gürsoy Dinçer. They both have warm, lyrical voices, that perfectly match. Gürsoy Dinçer and Lior Elmaleh often compete in oriental vocalisations, similar to those of the muezzins calling to prayer. Obviously, the colour comes from Tcha Limberger, a blind, Gypsy violinist, who improvises on any given theme. When left alone, he doubles the improvisation with his voice. He seems to be in a trance, like, very often, his partners. At one moment, the camera gets Jordi Savall’s admiring look, the same admiration that must have had Franz Liszt when hearing Barbu Lăutaru’s improvisations. Apart from the regular members of Hesperion XXI, we also see two ensembles, one Serbian and one Gypsy. The accordion and the pipes of the Serbians are thrilling with their virtuosity or melancholy, when music becomes lamentation. The Gypsies improvise again and again, on the cimbalom and the double bass, with a disarming ease and serenity. Update 2: “Balkan” won ICMA 2015 Prize, at the “Early Music” category. ICMA stands for International Classical Music Awards.